The best way to learn is to teach. And the best way to teach is experientially. No more boring lectures that are too often forgotten. 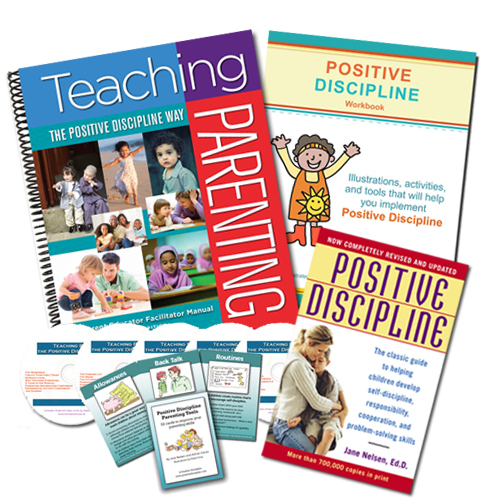 Learn and teach Positive Discipline experiential activities that help parents and teachers “get into the child’s world” to discover what works and what doesn’t for practical application. 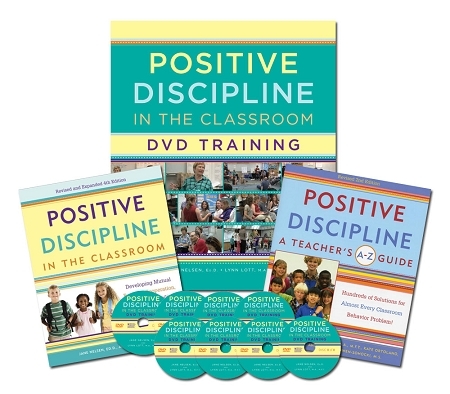 Jane Nelsen and Lynn Lott have completed a DVD training that includes 6 1/2 hours filmed at a live training and requires about 6 1/2 hours of homework to practice the skills in order to receive a certificate as a Certified Positive Discipline Parent Educator. At the end of this training, you will be ready to lead parenting classes. 13 Hours of CE Credit available. Create a classroom climate based on community and cooperation that enhances academic learning. Use encouragement to increase students’ intrinsic motivation. Instill valuable social and emotional life skills and positive behavior through the use of class meetings. Understand the motivation behind students' behavior instead of looking for causes. 13 Hours of CE Credit available.